Ross explains tactics for managing a project of this scope, as well as challenges, possible pitfalls, and why Mayo focused on user experience and optimization before the deployment not after -- which is all too common. When the health system replaces Cerner and GE software with Epic’s electronic health record on May 5, at its Rochester, Minnesota, headquarters, the go-live will be the most critical piece of a massive technology project dating back to 2013. But it won’t be the last: Launches in Arizona and Florida are scheduled for October 2018. Aside from the U.S. Department of Defense’s estimated $4.3 billion contract to modernize its proprietary EHR and swap in Cerner, and the Department of Veterans Affairs currently paused plan to also deploy Cerner, projected to be in the range of $10 billion, and Partners HealthCare’s well-known $1.2 billion Epic project, Mayo’s undertaking puts it firmly in rarified EHR air. Healthcare IT News asked Mayo Clinic CIO Christopher Ross what it takes to manage a technology project of this scope, discuss the challenges and potential pitfalls and explain why he feels what Mayo has learned in the past and from other organizations inside and outside healthcare. Q: What is the trick to managing a software rollout this important? A: Managing a project of this scope requires a lot of hard work and discipline applying lessons learned from other organizations and previous Mayo Clinic implementations. We’ve completed comprehensive planning and extensive preparation with a single-minded focus on our core mission: Putting the needs of patients first. This version of Epic was built to meet the specific needs of Mayo patients and staff. Several thousand staff from across Mayo Clinic have contributed to this project in a myriad of roles. Organizations sometimes wait to address user experience and optimization efforts after a system implementation is complete. We’ve seen the pros and cons of that. Mayo Clinic tried something a little unusual by conducting usability studies before implementation to improve the way the system is built. We will continue to focus on user experience long after the project is complete. Q: Size of the project aside, what unique challenges does Mayo Clinic face with this rollout? A: The project is highly complex due to the number of specialties and subspecialties involved. We have spoken with several organizations that implemented the Epic system in recent years. They have shared lessons learned and best practices. Outside firms are also advising on best practices and providing risk assessments. Many processes are in place to anticipate, track and address project risks. Moreover, we are not only focused on building and delivering a converged technical solution. We are also invested in the people side of change to support them in adopting, utilizing, and becoming proficient in the Epic system. This is being accomplished through a comprehensive change management strategy. Q: What have you learned from earlier rollouts? 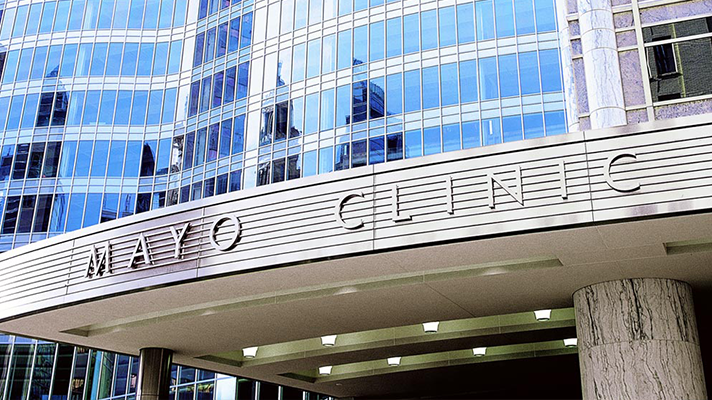 A: After the first successful implementation at Mayo Clinic Health System in Wisconsin, we modified the staffing, support and training to further enhance the success of the second implementation at Mayo Clinic Health System in Minnesota. Both implementations have gone well, and the second was better than the first. We expect to see improvements in our third and fourth rollouts. We’re already seeing the benefits: We’re able to consult with colleagues about patient care more efficiently, offer answers more quickly and ultimately, spend more time with our patients. Q: How many people does Mayo have dedicated to the Rochester implementation? A: The core project team includes about 460 members, but thousands of staff have been involved in the project across Mayo Clinic. Approximately 26,000 Rochester staff will go through training. Q: Will this rollout be harder or easier than the previous work at Mayo Clinic Health System in Wisconsin, and why – or why not? A: This will be the most complex implementation due to the number of specialties and subspecialties involved. The Rochester implementation will be about four times larger than either health system implementation. Q: How does the $1.5 billion cost break down – the EHR system, preparation, staff training, implementation? A: Mayo Clinic has embarked on a major technology modernization program across the enterprise, and we estimate our investments over multiple years for many purposes, not the EHR alone, will be about $1.5 billion. Only a portion of this goes toward the electronic health record and revenue cycle replacement, and only part of that will go to Epic since much of the work is being done by Mayo Clinic staff. Other technology investments are to advance patient care, to upgrade the data network and improve information security. Q: What worries you the most about a project of this size? A: The complexity and scope of the project. Q: What gives you confidence? A: I have great confidence in our excellent clinical and technical staff and the superb support we are receiving from the Epic team. Our previous experience and the preparations we have made position us well for a successful implementation. I’m also confident because this program is strongly physician-led, and is based on a pre-existing eight-year effort to converge and standardize our clinical practice. Our group practice patient care has been integrated from the very beginning and we have been a leader in the use of electronic tools. This is one of the largest projects in Mayo Clinic history and is quite complex in scope and size. However, Mayo Clinic has extensive experience in implementing large-scale systems and we already have completed successful implementations in Mayo Clinic Health System. As we have worked with various vendors and built systems at our sites, we’ve learned from each other and shared that knowledge to bring us to where we are today. We are well positioned to implement a unified system that will meet our patients’ needs and Mayo Clinic’s needs now and into the future.